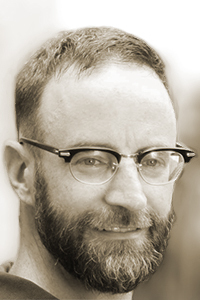 TJ Beitelman is the author of four books from Black Lawrence Press: a collection of short fiction, Communion (2016), and a novel, John the Revelator (2014), as well as two poetry collections, Americana (2015) and In Order to Form a More Perfect Union (2012). He is also the author of a hybrid memoir, Self-Helpless: A Misfit’s Guide to Life, Liberty, and the Pursuit of Happiness (Outpost19, 2012). His work has appeared in Quarterly West, Bellevue Literary Review, New Orleans Review, and elsewhere. He has earned awards from the Alabama State Council on the Arts and the Cultural Alliance of Greater Birmingham, where he serves as chair of the Creative Writing Department at the Alabama School of Fine Arts.